There are times when we as humans want to see something bad happen to bad people. It is in our nature, to want this, as well as wanting to have good things happen for good people. God gave the last test to Job. He and the devil had a wager. That God's good and faithful servant would buckle under tremendous pressure. Pressure that the average man could not sustain. The devil did everything to Job to get him to curse God. It never happened. What Job did learn through this is that judgement is not based on his thoughts and thought processes. God oversees that department. And so it remains today. God handles the ugliness. He sent Jesus to handle the in between. By giving up anger. By forgiving. By going through Jesus who literally took the hurt and pain for all of us, we can relax. 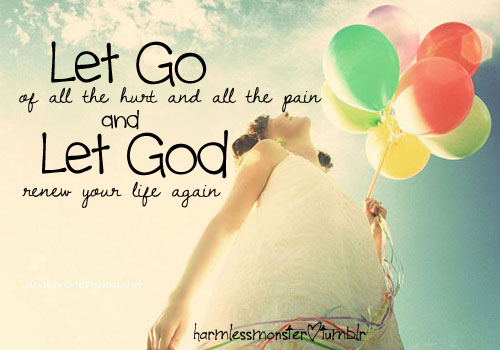 We can let go. We can let God.